The Gospel of Rock. The Spirit of the Blues. 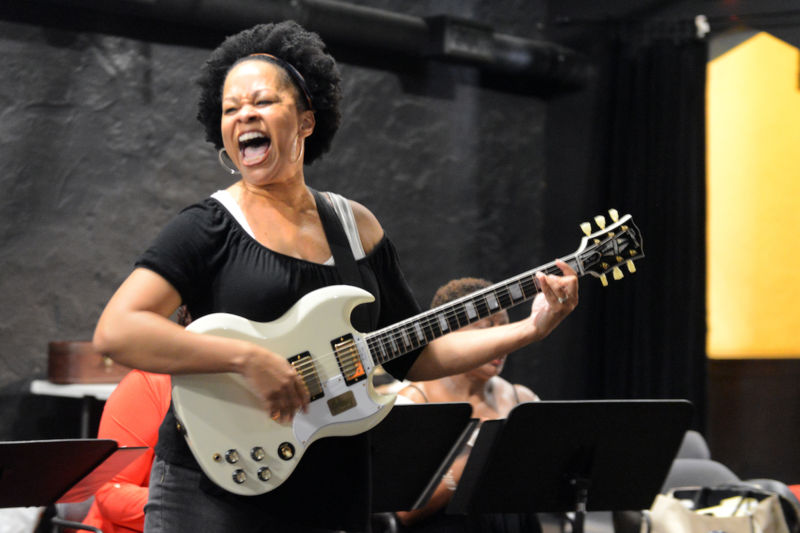 Open your heart and soul to the legendary life and times of Sister Rosetta Tharpe in this world premiere musical directed by Randy Johnson, creator of the smash hit A Night with Janis Joplin. Hailed as the godmother of rock and roll, Sister Rosetta Tharpe’s unique gospel voice and virtuoso guitar influenced some of the greatest musicians of all time, from Elvis Presley and Aretha Franklin to Little Richard, Bob Dylan, Tina Turner, and Johnny Cash. Shout Sister Shout! is a soulful and joyous noise that will inspire, entertain, and leave you wanting more. No matching events listed under Shout. Please try viewing the full calendar for a complete list of events. Arrive early and get the full-throttle theater experience at Shout Sister Shout! Pose and play with new Gibson guitars, snap a photo in the Gibson guitar throne, hear live music and more. The Gibson Guitar exhibit features over 20 new models of Gibson Epiphone Guitars and is available for a “test drive” or photo opportunities in the Friendship Center. And, exclusively on display is Gibson’s famous Guitar Throne: an 8-foot replica throne of Gibson Les Paul Guitars. The Gibson Guitar Interactive Experience is generously provided by Gibson Brands, of the world’s leading music and audio lifestyle companies. Friday august 4; Friday august 11; friday august 18 | 7:30 P.M. 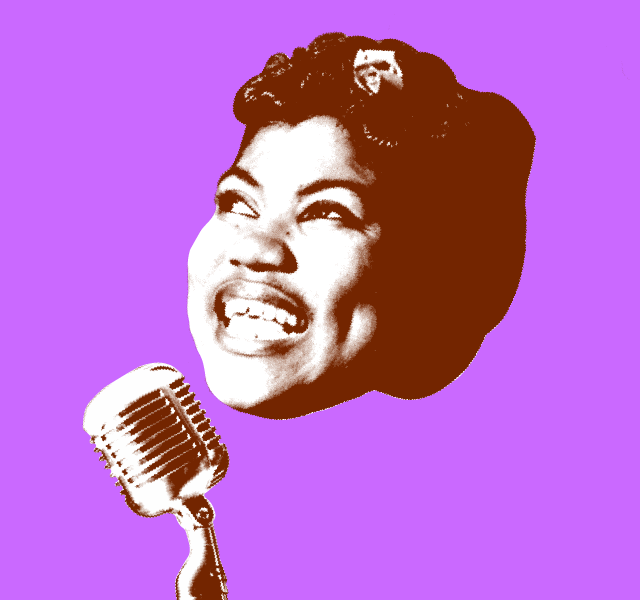 Hear live performances by students of School of Rock Pasadena featuring hits by Sister Rosetta Tharpe and the artists she inspired – Johnny Cash, Chuck Berry, Jerry Lee Lewis, Little Richard, and others. 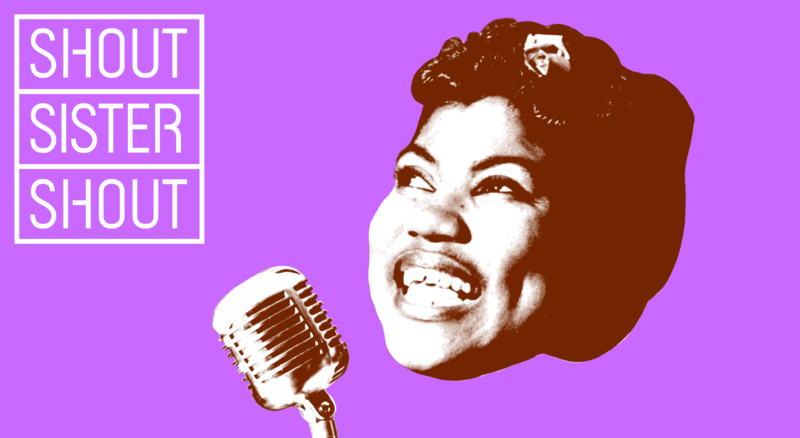 Sunday, august 6 | 6:00 P.M.
Nic Harcourt, regarded as an ultimate “tastemaker” in music and has been credited with launching the careers of Adele, Coldplay, The Black Keys, Norah Jones and others, will curate one-hour of music inspired by Sister Rosetta Tharpe. Engage in lively dialogue with artists and renowned experts after Shout Sister Shout! Friday july 28 | 8:00 P.M.
Gayle Freda Wald, writer of Shout, Sister, Shout! : The Untold Story of Rock and Roll – the book that sparked the musical. BROADWAY: The Lion King (Shenzi), Caroline, or Change (Radio), Into The Woods (Florinda), The Music Man (Ethel Toffelmeir), The Who’s Tommy (Acid Queen U/S), The Life, How to Succeed In Business… OFF BROADWAY: Little Shop of Horrors (Chiffon) 2015 Encores City Center. FIRST NATIONAL TOUR: Jelly’s Last Jam (Hunnie #1) Dir. George C. Wolfe, Once On This Island. Regional: Running Man (Miss Look) Dir. Diane Paulus, Lonesome Traveler (The Muse) Rubicon Theatre, Dreamgirls Dir. Obba Babatundé, FILM/ TELEVISION: “The Wrong Coast” (Julie Wyvern) and “Across The Universe.” Tracy’s voice can be heard in “Grand Theft Auto V” and numerous commercials. She is a Songwriter/Producer honored by the International Songwriting Competition. Special thanks to Craig Holzberg. tracynicolechapman.com. Born in Dayton, Ohio, Logan Charles moved to Nashville at the age of 10 to pursue his music dreams, and was soon recording and touring nationally. Shortly thereafter, he added acting to his repertoire and by age 13 had booked multiple national TV commercials. This led him to Los Angeles where he continued to hone his craft and became a founding member of a pop-punk band that toured globally. Logan is now honored to join the incredibly talented cast of Shout Sister Shout! 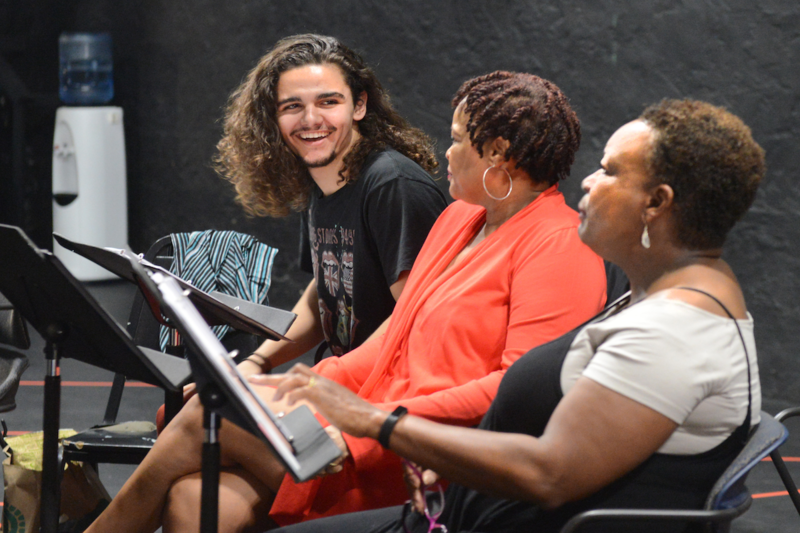 for his theater debut at the Pasadena Playhouse. He is very grateful to his family, Symington Talent Management, and his agents at CESD for their endless support. Yvette recently played Lillie Ann in Barbecue at the Geffen Playhouse. 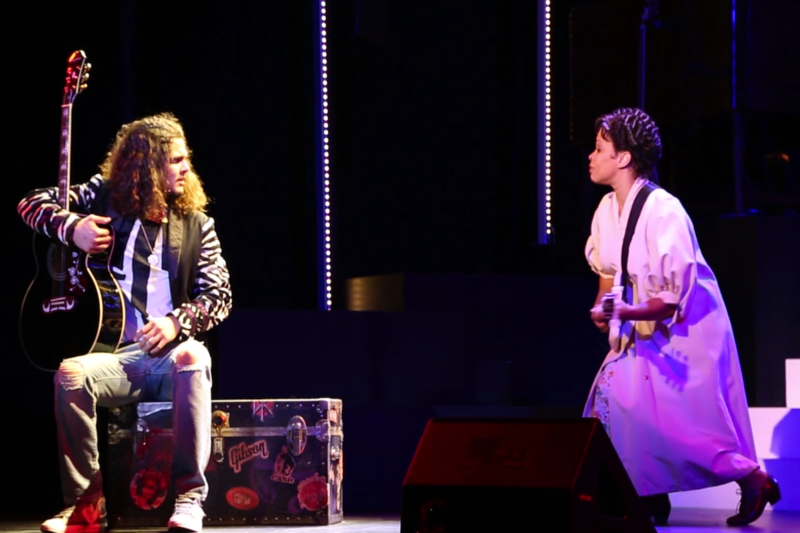 In addition, Yvette portrayed Aretha Franklin and Nina Simone in A Night With Janis Joplin at the Pasadena Playhouse and 5th Avenue Theatre. Other credits include: Ella The Musical, Dreamgirls, Play On! (Ovation Award), Once On This Island, Ain’t Misbehavin’, St. Louis Woman, Into The Woods and Sisterella (NAACP Theatre Award). Film: “A Wrinkle In Time,” “Dreamgirls” and “Middle of Nowhere.” She has toured with Whitney Houston, Stevie Wonder, David Foster and Babyface. Education: Berklee College of Music. Broadway: Ragtime (John Ford Theatre), Oh Kay (Richard Rodgers Theatre), Toronto: Rock Of Ages (Royal Alexandra Theatre), Regional: Ray Charles Live (Pasadena Playhouse), Princess and the Black Eyed Pea (San Diego Rep.) Sophisticated Ladies (Redondo Beach Theatre), Joseph and the Amazing Technicolor Dreamcoat (Cabrillo Theatre Thousand Oaks), You Never Know (Pasadena Playhouse, Best Supporting Actor Nomination NAACP) TV: “Burning Zone,” “Mr. and Mrs. Smith,” “Baywatch,” “Star Search” $100,000 Vocalist Champion, Film: Hollywood Shuffle; Animation: “Peg + Cat” (Voice of Viv the neighbor lady and Mama Bear). Angela is thrilled to be returning to the Playhouse and would like to dedicate her performance to her mom and her husband for their never-ending support. Thomas Hobson is thrilled to return to the Pasadena Playhouse where he last performed in Smokey Joe’s Café. Theatre: Curtis in Dreamgirls (TUTS), Sam Cooke in Recorded in Hollywood (Kirk Douglas Theatre), Complete History of America Abridged (Ovation Award, Garry Marshall Theatre), City Kid (Hudson Theatre), Ain’t No Mountain High Enough, (Center Theatre Group). Film: Leading roles in “Stone/Fruit,” “The Purple Rose,” “The Stars Are Already Dead,” “Ghosts of the Ozarks,” “XXIII Boss.” Television: Series regular on “The Fresh Beat Band” and “The Fresh Beat Band of Spies.” Recurring role on “Rachel Dratch’s Late Night Snack,” Guest Roles on “Criminal Minds” and “NCIS: LA.” Recording: EP “Beyond the Beat.” Thomas would like to thank his tribe for their unwavering support. tommyhobson.com. Twitter/Instagram @tommyhobson. 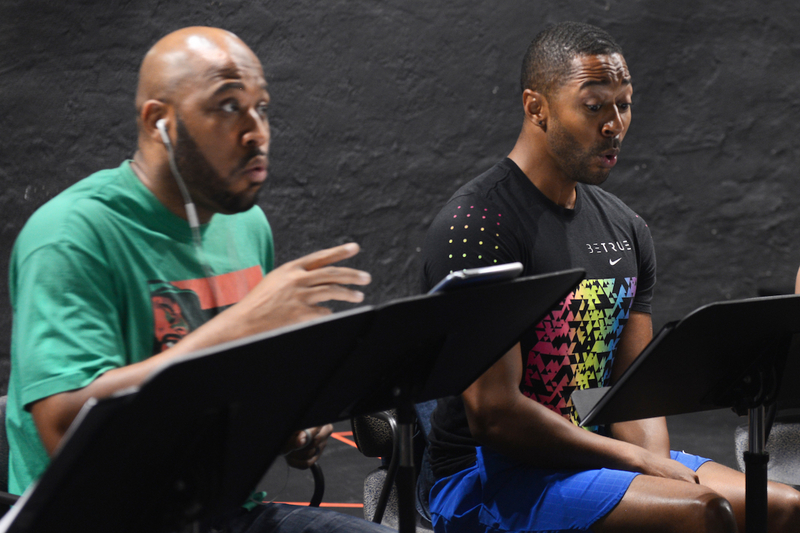 Cheryl L. West’s plays have been seen in England, off-Broadway, on Broadway (Play On!) and in numerous regional theaters around the country. She has written TV and film projects at Disney, Paramount, MTV Films, Showtime, TNT, HBO, CBS and is the Webby-nominated writer for the original web series “Diary of a Single Mom.” Ms. West is currently working on a pilot for the BET Network and commissions for Seattle’s 5 th Avenue Theater, Chicago Children’s Theater, Minneapolis Children’s theater, Seattle Children’s Theater and Oregon Shakespeare Festival in Ashland. Ms. West is thrilled to celebrate Rosetta Tharpe’s life on stage and can’t wait for the day she is finally inducted into the Rock and Roll Hall of Fame. Mr. Young’s award-winning work as a choreographer includes, THEATER: Sammy, Old Globe Theatre (Critic’s Choice Award/ Best Choreography), Broadway’s On the Town, Ebony Repertory Theatre productions of The Gospel at Colonus, Robeson, and Crowns at both Ebony Repertory Theatre and Pasadena Playhouse. FILM: “Rent,” “It’s Complicated,” “The Holiday,” “What Women Want,” “The Smurfs,” “The Parent Trap,” “Gone with the Bullets” (World Choreography Award / Best Choreography). TELEVISION:“Academy Awards,” “Grammy Awards,” “Emmy Awards,” “NAACP Awards” and extensive episodic television. Mr. Young has worked with Madonna, Babyface, Bette Midler, Josh Groban, and Gladys Knight, to name a few. Mr. Young recently directed and choreographed Ebony Repertory Theatre’s critically acclaimed production of Five Guys Named Moe. Rahn’s depth, passion and artistry are rarely matched in the areas of musical direction, piano and professional performance coaching. He has served as musical director, conductor and pianist for: Play On, Purlie, Blues in the Night, Lady Day at Emerson’s Bar and Grill, The Wiz, Ain’t Misbehavin, Ray (Charles), Play On, Sammy (Davis), Baby It’s You, Breath and Imagination and Kiss Me, Kate, to name a few. A product of extensive classical training having studied under the renowned teacher Nadia Boulangier, Rahn has over 30 years of professional experience having performed, conducted, coached and arranged for such notables as; Aretha Franklin, Freda Payne, Nichelle Nichols, Michael Feinstein, Gladys Knight, Barry White, The Ojays, The Temptations, Wayne Brady, Tina Turner, Ray Charles, Sarah Vaughn, the Philadelphia Philharmonic, and the Clinton Presidential Inaugural Orchestra. Rahn is the recipient of national and international critical acclaim and always in the running for top honors. 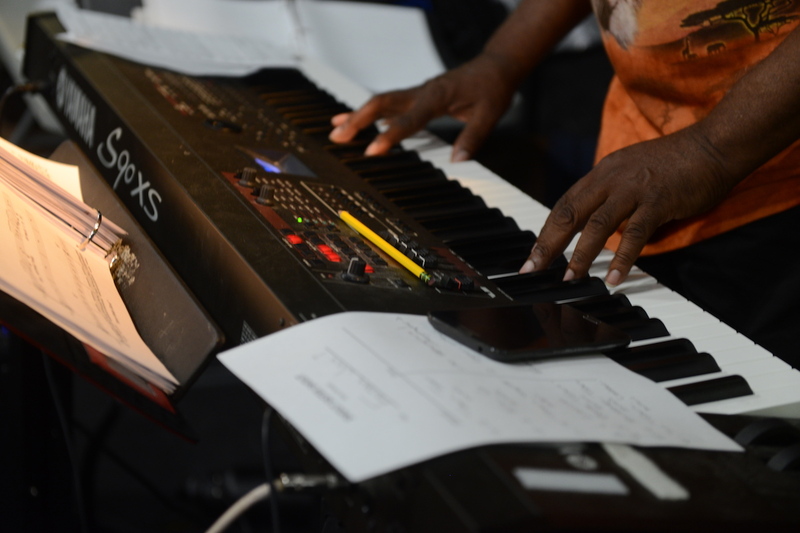 Hailed as one of the most effective performance coaches in the world, he has also shared his artistic gifts through service as Minister of Music at Christ the King and Faith Lutheran churches in Southern California. As producing director of “The Mystic Knight Recorder,” LA’s leading underground studio, new vistas for world class music and its performance are in constant creation. Dana Rebecca Woods is happy to be collaborating with Randy Johnson and the wonderful design team assembled for Shout Sister Shout! Her design work includes Single Black Female at Crossroads Theater; In the Red and Brown Water at UC Santa Barbara; Stop Kiss, Above The Fold, Fences, Flying West, The Importance of Being Earnest, and others for the Pasadena Playhouse; Jitney and Fences at South Coast Repertory, Blues in the Night at San Francisco’s Post Street Theater; Train Driver, Heart Song, and others at the Fountain Theater. She has also collaborated with John Sayles on his film “Go For Sisters.” When not designing costumes for stage, film, or TV, Dana creates teaching artist curriculum for afterschool programs. Jon’s design work at the Pasadena Playhouse includes Twelve Angry Men and Kiss Me, Kate! He most recently designed for the Geffen Playhouse’s Big Sky, The Country House, Equivocation and Cat on a Hot Tin Roof, as well as Master Class with Tyne Daly at the Vaudeville Theatre in London and Manhattan Theatre Club on Broadway. Other Broadway credits include Neil Simon’s Dinner Party, Terrance McNally’s Master Class, and QED with Alan Alda at Lincoln Center. 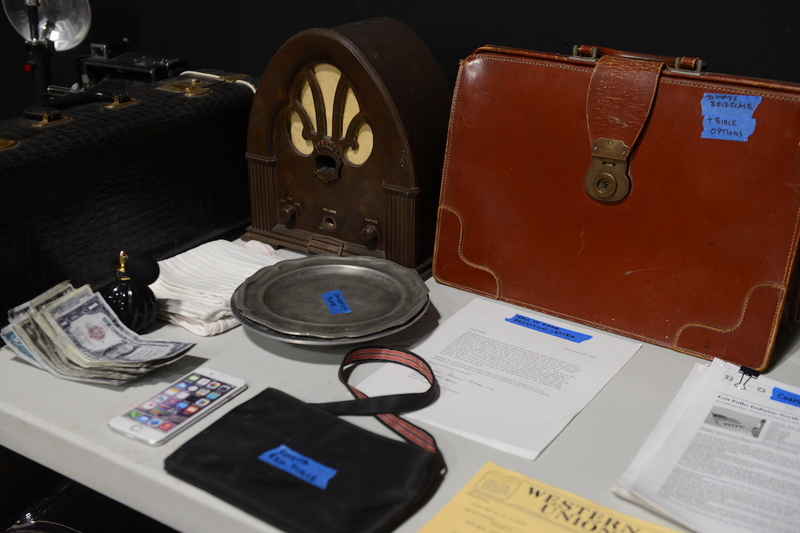 Center Theatre Group credits include iWitness (L.A. Drama Critics Circle Award), The Flower Drum Song (Ovation Award) and Hughie with Al Pacino. Jon has received eight LADCC Awards, three L.A. Stage Alliance Ovation Awards, and over 60 Drama-Logue, LA Weekly and NAACP Theater awards. Jon also serves as the head of the Sound Design program for the School of Theater at California Institute of the Arts. Select a date in the calendar or call our box office at 626 356 7529 to purchase tickets. Save 10% with a group of 8 or more. For more information, call 626 921 1161.